- Ensuring that advertising, marketing and promotional campaigns are carried as guided by HOD. - Responsible for preparing and executing the marketing calendar, Print Media & Electronics Media for the brand. - Coordination with Advertisement Agency for developing briefs, advertising & communication material like Printing - Collaterals, leaflet, flyers and Magazines etc. - Organize the launch event and market launch for new brands. - Planning and executing the Social Media Marketing strategy for all brand portfolios. - Monitoring the purchased media to make sure the advertisements appear as planned, and they credit or bill clients as necessary to settle accounts. - Knowledge of Customer engagement / retaining. - Well verse with MS Office with a hands on Power point presentation. - Inter departmental co-ordination for execution of task. Relevant Years of Experience - 1 to 2 years. 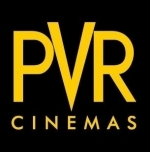 Recruitment Team at PVR Cinemas Ltd.